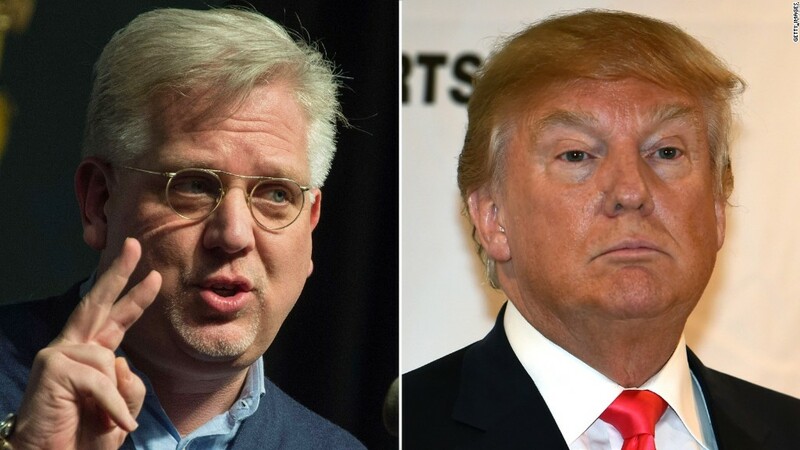 Glenn Beck's syndicated radio show will be off SiriusXM for the rest of the week after a guest was accused of hinting that Donald Trump, if elected president, could be assassinated. SiriusXM announced Tuesday that "The Glenn Beck Program" will be suspended from the Patriot Channel "for the coming week," and that the company is "evaluating its place in our lineup going forward." "SiriusXM encourages a diversity of discourse and opinion on our talk programs," the company said in a statement. "However, comments recently made by a guest on the independently produced Glenn Beck Program, in our judgment, may be reasonably construed by some to have been advocating harm against an individual currently running for office, which we cannot and will not condone." One of the most popular shows in conservative talk radio, "The Glenn Beck Program" is heard on more than 400 stations across the country. The program's syndicator, Premiere Networks, said Tuesday it has "no plans to suspend Glenn Beck." The comments that prompted SiriusXM to take action came during an interview Beck conducted last week with the fiction author and conservative commentator Brad Thor. "If Congress won't remove him from office, what patriot will step up and do that if, if, he oversteps his mandate as president, his constitutional-granted authority, I should say, as president," Thor said. "If he oversteps that, how do we get him out of office? And I don't think there is a legal means available. I think it will be a terrible, terrible position the American people will be in to get Trump out of office because you won't be able to do it through Congress." The Drudge Report, the influential conservative news aggregator, ran a headline saying that Beck and Thor talked about "taking out Trump." Beck, one of the most outspoken Trump critics on the right, was dismissive of that criticism last week, saying that certain individuals "have become the attack dogs for Donald Trump." "Now, again, this show is an opinion show. That's what we do. We tell you the news, and then we give you our opinion on the news," Beck said. "That's not what Matt Drudge is. Matt Drudge is a website that links to the news. But his news -- his news sources have become Breitbart, who, Breitbart is a wholly-owned subsidiary of Trump industries."